As we all age, maybe we wish we could be young again. That’s the case for Sir Ben Kingsley’s character in SELF/LESS. Facing death, he buys what his immense wealth allows — the chance to live again in a younger body, played by Ryan Reynolds. It’s a really intriguing story. And, with all great ideas, there are plenty of catches. You wouldn’t expect such a transition to be easy, would you? I really liked it. 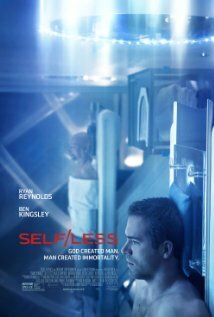 SELF/LESS is rated PG-13.